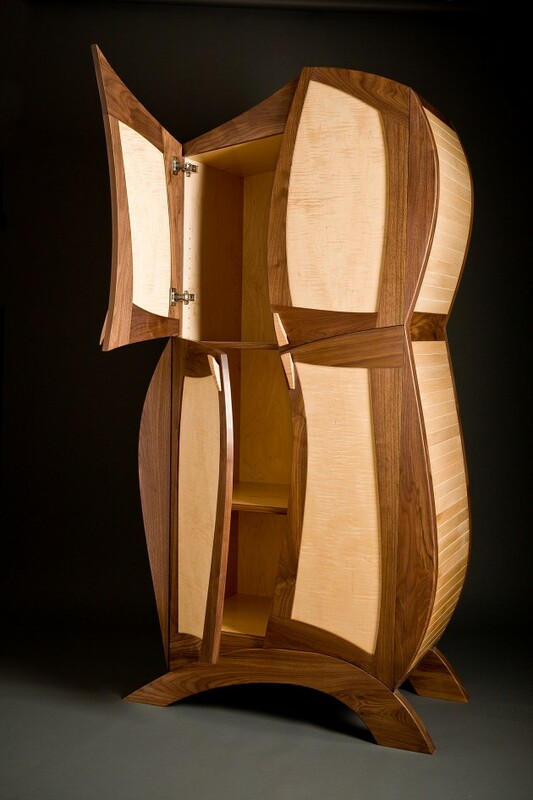 The Hayes Entertainment Center can be custom fit to suit your electronics or can be made as an armoire, dresser or liquor cabinet. 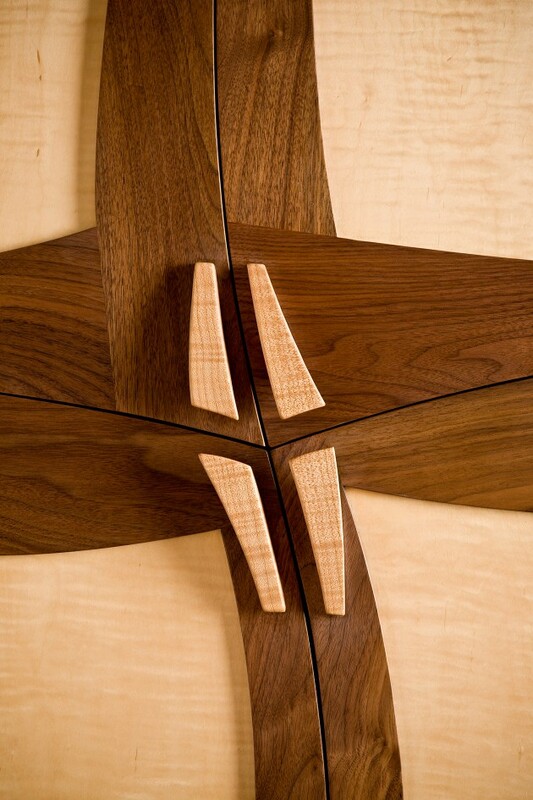 It is framed in walnut with contrasting curly maple doors and handles. 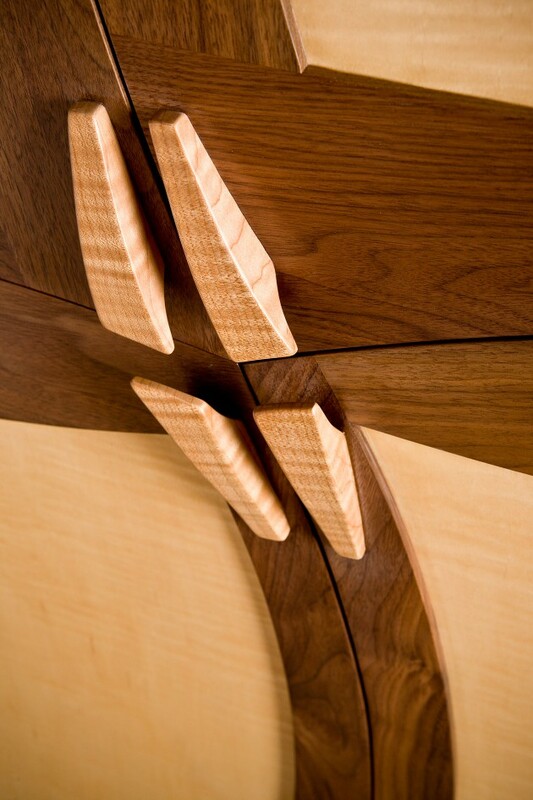 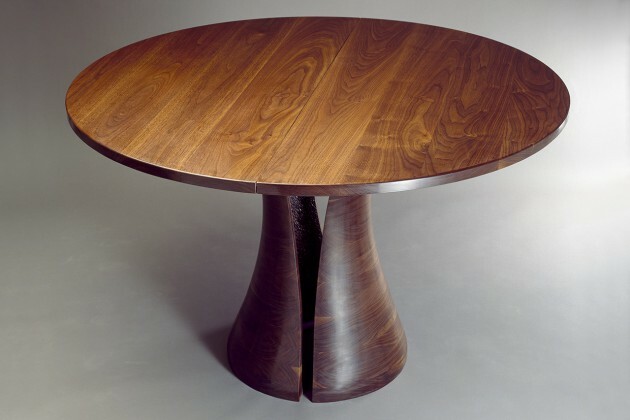 The curves of the sides are also emphasized with inlaid maple. 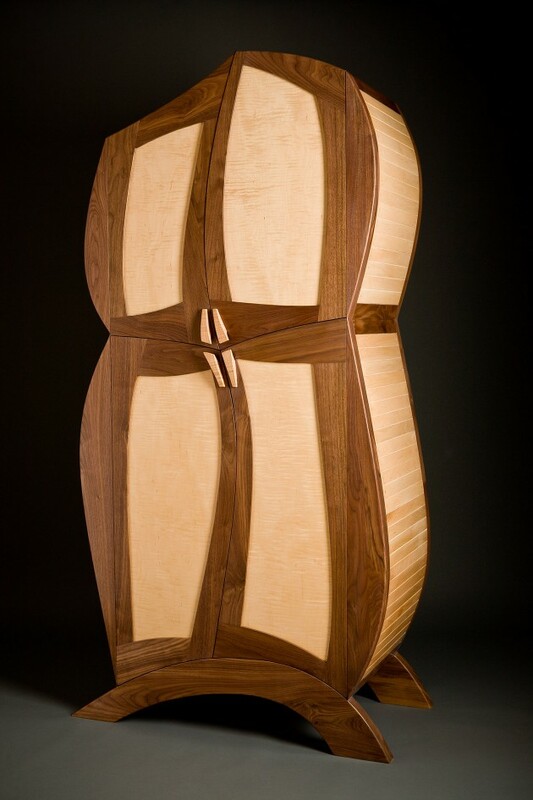 Framed in walnut with maple on the curved sides and curly maple doors and handle, it can accompany the Charis Credenza. 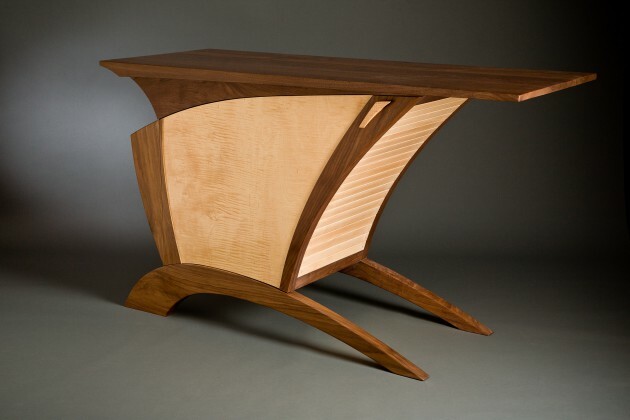 The Hayes Entertainment Center is available in custom sizes and solid woods.